It is looking like we are now full for volunteers for Leeds Festival Angels! We are allocated 170 places though this may increase if we take on safe hubs again. We are slowly working through references for new volunteers. Any applications received now (after 1st April) will be on the reserved list. Many thanks! This application form is for several festivals and sporting events that Festival Angels are at - this way if you want to volunteer at multiple festivals (or just Leeds) you only need complete one form! You may need to scroll back up after you have pressed NEXT. See this page for an introduction to Festival Angels and volunteering. Please complete the on-line form (on the left - this form is 4 pages long, only when you press submit will the form reach us - you can also complete directly on Google Docs which may work easier if on a mobile!). If you are unsure as to what dates you can commit to please let us know as soon as you can. The closing date for Leeds Festival Angels applications is 31st July 2019 OR when we reach our limit of volunteers. Festival Angels Prayer Cafe where people can meet, chat, pray and be provided with low cost hot drinks. Festival Angels Lost Property and Left Luggage Tent where festival goers will be served with care and attention. Safe Hubs offering a safe place within the various camp sites and responding to the various needs and requests of festival goers. Last year we had problems with security not allowing children on the staff campsite. We argued our corner and Festival Republic allowed us to have children for that year. They were also concerned that under 18s were working as volunteers. Originally they said it would be just for that year and that in future years Festival Angels would need to be an adults only organisation. Since then we have continued to argue that Festival Angels is a family orientated organisation where whole families come and enjoy the festival together. We are allowed under 13s both in the staff campsite and on the festival site so long as they are supervised at all times. It would be advisable for under 13s to have a wristband that has a parent’s name and phone number on it in case they got lost within the festival. Teenagers aged 16+ are allowed to work as Festival Angels so long as they share shifts with someone with parental responsibility (so either an actual parent or someone acting as their parent). We are aware that this leaves children between the ages of 13 and 15 in limbo as they are neither free under Festival Republic rules nor able to get a ticket to work, but this is the sacrifice we will have to accept for gaining admittance for all other children. We will process your application and take references. We will let you know if you are successful or not once we have received these. We will let you know of any meetings or training and when we start to plan rotas. Sunday July 14th at Scholes Church, Leeds, LS15 4DN. Briefing with Pizza, from 7-9pm. "The sense of community and belonging was incredible!" "The whole experience has been amazing, helping out other people and making sure everyone was safe!" "I love the rest of the angels, they make me feel so at ease and due to anxiety (when not at the festival I find it really hard to make genuine good friends!) I would not attended Leeds Festival if I wasn't part of the festival angels." "Opportunity to serve God in a really practical way. Brilliant teams and good working relationships with welfare and other groups." "Really enjoy showing God's love in practical ways and enjoyed the conversations I had with festival goers and angels." "Being part of Festival Angels made me feel like I was part of something amazing." "It was my first year and hearing all the good news and how appreciated things like the prayer cafe are is amazing." "Working together with other Christians"
"How everyone came together to celebrate my 21st. I have never felt so special in my life!" "Meeting everyone and feeling like i belonged :)"
"Being able to interact with angels that weren't Christians and allow us to alter their opinions on christianity"
"Reading the prayers and praying through them was great. 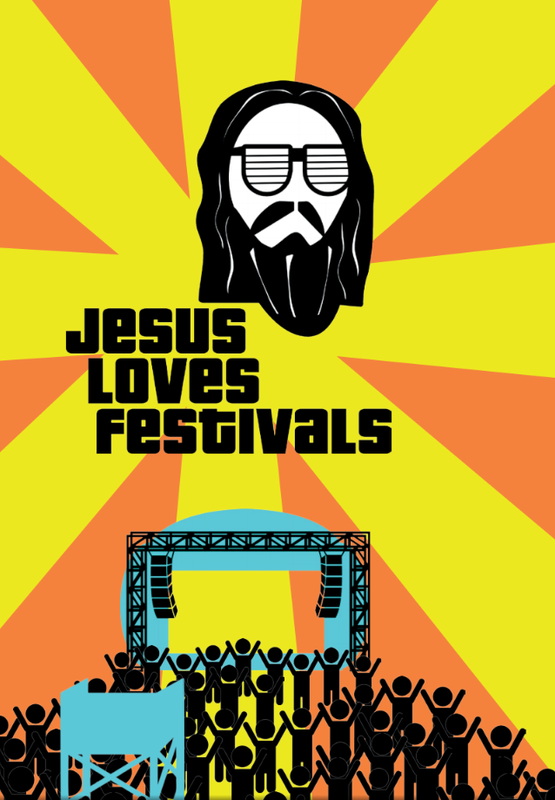 Lovely to see some young festival goers appreciating the banter and the chats, and some even asking for blessings/prayers in a serious and reflective way." "Faces of people when they realised we weren't joking about helping them. The number of young angels who were making such a difference." "The best part this year was seeing familiar faces, and meeting even more new people. The campsite was cozy to say the least,and although late-night revellers may have resulted in a lack of sleep, generally the atmosphere was like a family. I spoke to people of all ages, backgrounds and locations and sitting having a cuppa was just as beneficial for us as workers as the prayer cafe/hot drinks tent is for festival goers." "New experience. Seeing a great idea in action." "Helping people that needed it and feeling as though you had made a difference - and the Korn thing on the prayer tent." "I have always felt unworthy of living and the fact everyone came together to celebrate and create new memories is so special to me!" "perhaps, this is going to sound 'cheezy', but putting something back into society without expecting a return." "Meeting up with Jimmy, Tom, Paul, Marcus and the rest of the crew. Working with fabulous committed people. Welcoming young people into the safety of the prayer tent. Reading the prayer post-its." "Being able to put a smile on the face of someone in distress." "The community of people who call themselves 'festival angels' they made the experience worthwhile. Made some incredible friends who really added to my festival enjoyment"
"I found the talk by the guitarist from Korn very uplifting and the response from some of the young people was really encouraging and moving"
"Conversations with festival goers about faith, what their beliefs were and praying with them. Reading and praying through prayer post-it's"
"Caring for the security staff - many of whom are the same age as the festival goers and doing a low paid boring job. They were often cold and lonely, many of them thought we were joking when we asked if they wanted a drink!" "Meeting so many new people "
"The festival goers. I can honestly say I never came across anyone who was unpleasant or rude. Another plus, it didn't rain this year!"